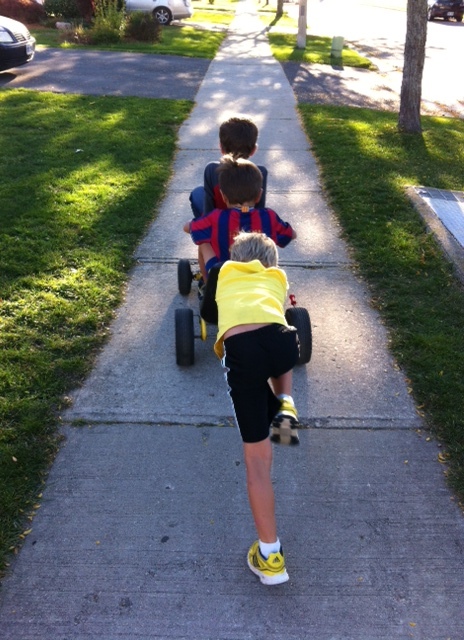 Today our second oldest and his two neighbour friends started playing a new game: Terry Fox. 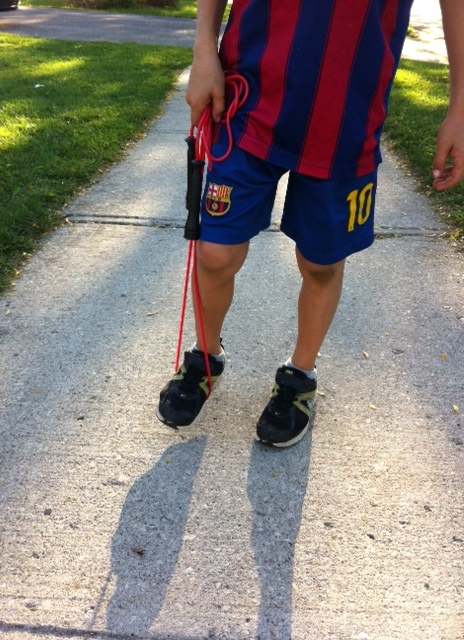 One boy would run down the sidewalk with his foot rigged up in a skipping rope to simulate Terry’s prosthetic leg. When he got close to our house “Terry” would call out, “I’m in Thunder Bay, ohhhhhh” and do a slow collapse to the ground. Together, they loaded “Terry” onto the makeshift ambulance and brought him back to home. Roles were swapped, and the game began again, with a new “Terry”. Don’t worry, we’ll take good care of you, Terry. At first I was little bit horrified. I stopped myself from interfering and decided to watch how it all played out and I’m glad I did. These boys were acting out a piece of Canadian history. It is a story that is familiar to most of us, but they are experiencing and beginning to understand it for the first time. I chose not to say anything, but rather stood back and took it all in. However, I wondered about some of the liberties they took with their reenactment – I doubt Terry drove his own ambulance. Terry Fox is a Canadian icon. He is a real life hero. I’m actually glad they were playacting someone who inspired and encouraged so many people with his Marathon of Hope. They weren’t mocking Mr. Fox, they were putting him up on a pedestal, among the ranks of Transformers, Superman, and Batman. This is what parents long for and I almost shut it down. As we honour and commemorate Terry Fox this September with the run in his name, it was good to see things through the eyes of some six year olds. My oldest sister went through a very similar battle with cancer just after Terry passed away, but survived. She is a hero, too.